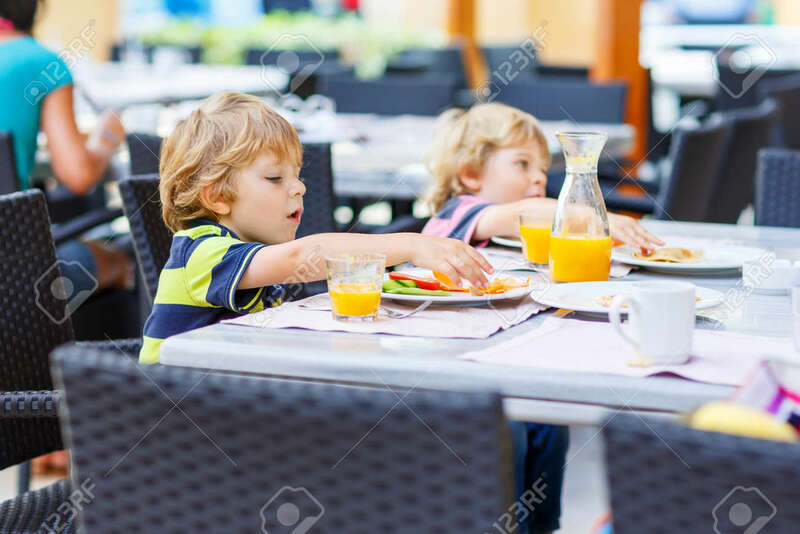 Two Little Kid Boys Having Healthy Breakfast In Hotel Restaurant Or City Cafe. Selective Focus. Royalty Free Fotografie A Reklamní Fotografie. Image 35194585. Reklamní fotografie - Two little kid boys having healthy breakfast in hotel restaurant or city cafe. Selective focus. Two little kid boys having healthy breakfast in hotel restaurant or city cafe. Selective focus.